This is a guide for synchronising your EasyPractice calendar with your Outlook 2007 account. 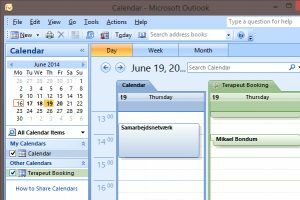 That means that you’ll be able to see your appointments from EasyPractice directly in you Outlook calendar, side by side with all the things you already have in Outlook 2007. 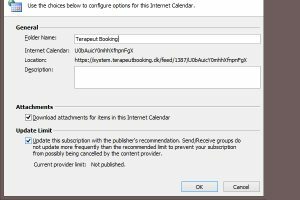 Go to ‘Tools’ – this is located in the menu bar – and choose ‘Account settings’. If it looks like the image below, you’ve done everything right so far. 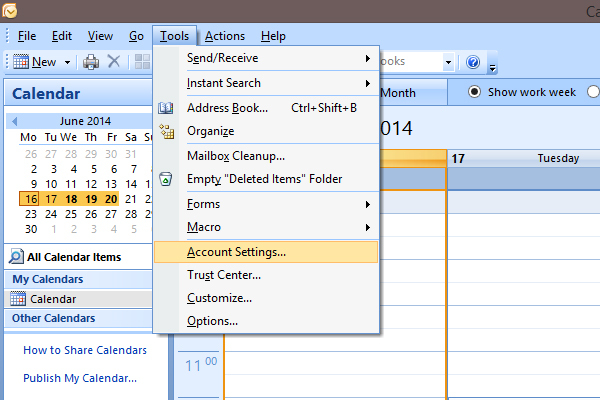 When you click ‘Account settings’, a popup window will appear. 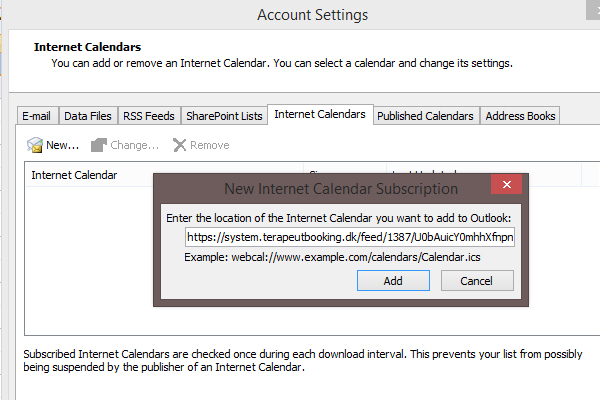 Click ‘Internet calendars’ and then ‘New…’. It should open the dialogue box seen in the below image. 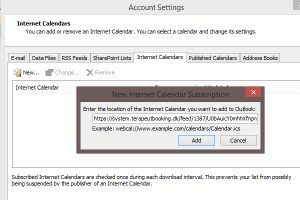 Log in to your EasyPractice account and retrieve the calendar link that is connected to your user. 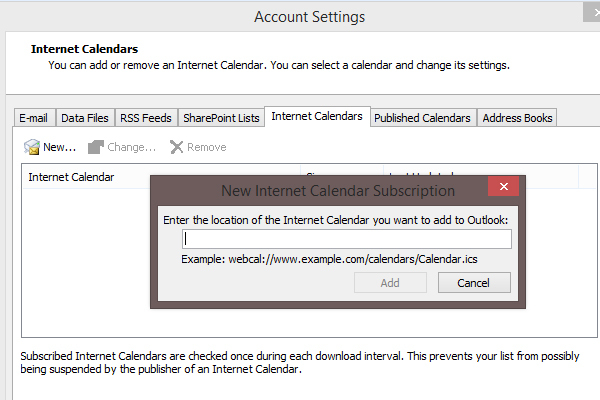 You’ll find it by going to ‘Settings’ and then ‘Calendar’. 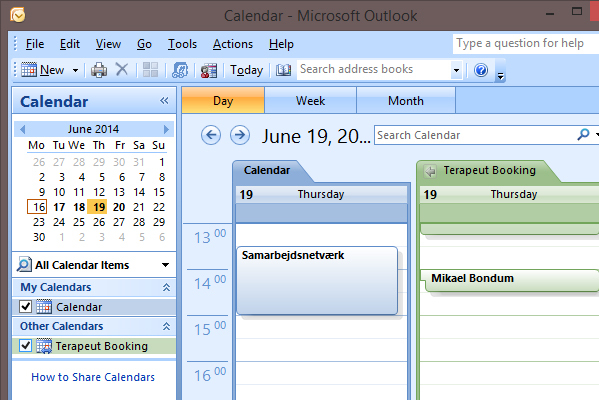 Mark the calendar you want to synchronise, and copy it by right-clicking the link or by using the short-command Ctrl+C. 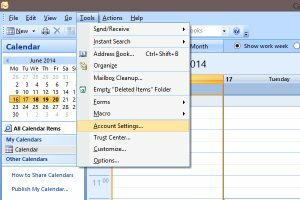 Go back to Outlook and paste the link that you’ve just copied, by right-clicking or by using the short-command Ctrl+V. Then click ‘Add’. 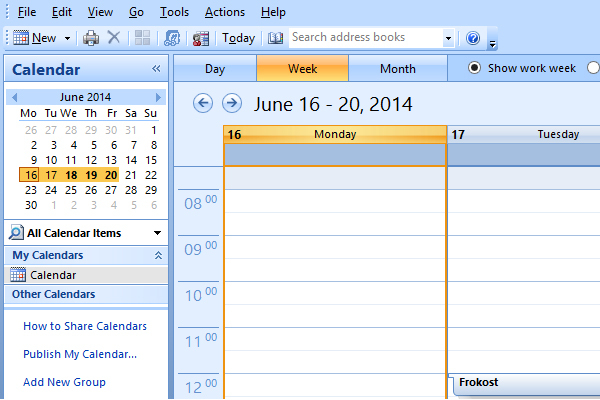 A new window will open, where you can rename your calendar by editing the ‘Folder name’. For instance, you could name it ‘EasyPractice’. 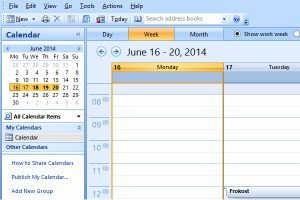 That makes your calendar overview a whole lot simpler. Remember to tick the box ‘Attachment’. 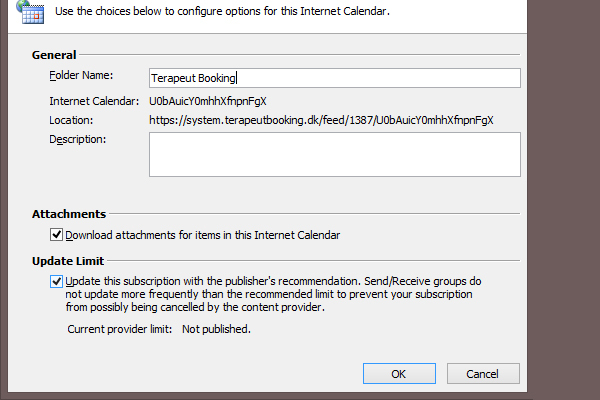 That will make sure that files (if any) will be transferred to Outlook as well.